The pandemic of multidrug-resistant (MDR) bacteria and their continuing spread is well recognized. The growing prevalence of MDR pathogens in the community and healthcare settings has challenged clinicians in maintaining a high quality of care. Of particular concern are infections caused by Gram-positive bacteria (i.e., methicillin-resistant S. aureus [MRSA], vancomycin-resistant enterococci [VRE]), Gram-negative pathogens (MDR P. aeruginosa, ESBL-producing and carbapenem-resistant Enterobacteriaceae), and Clostridium difficile. Compared to susceptible organisms, infections caused by these pathogens are associated with higher failure rates, mortality, and healthcare resource utilization. When an MDR infection is suspected, it is critical to consider multiple patient-, pathogen-, and drug-related factors in selecting an optimal therapeutic option. 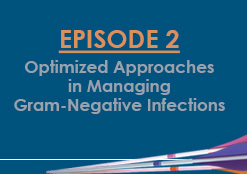 This educational program utilizes a case-based approach to demonstrate how management strategies are tailored to patient and pathogen factors. 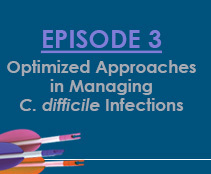 Understanding how these factors can influence therapeutic selection is a critical component for successful outcomes and underscores the importance of collaboration among the various disciplines when addressing the challenges of MDR infections. The program is divided into three learning blocks that focus on 1) Gram-positive pathogens, 2) Gram-negative pathogens, and 3) C. difficile. 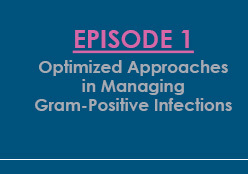 Each block is designed to open and conclude with an interactive patient case scenario that reflects the challenges and decision-making process that occurs regularly in clinical practice when managing these difficult infections. This continuing medical education activity is designed for physicians, pharmacists, and other healthcare professionals who care for patients with or at-risk of serious bacterial infections, including patients being treated for malignancy and/or with neutropenic fever. 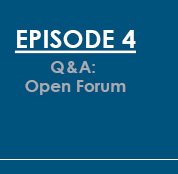 These Online Presentations are based on the CME/CPE Satellite Symposium following IDWeek 2014. Dr. File intends to discuss the off-label use of following: Non-approved uses of drugs for MDR pathogens. • Advisory Board: Cubist Pharmaceuticals and Merck & Co.
• Speaker’s Bureau: Cubist Pharmaceuticals and Merck & Co.
Dr. Kollef does not intend to discuss the off-label use of any products. Carlene A. Muto, MD, MS (Faculty/Planner) does not has relevant financial relationships with commercial interests. Dr. Muto does not intend to discuss the off-label use of any products. By clicking on Episode, I acknowledge that I have read the entire CME/CPE information.